What makes us happy? What makes us sad? How do we come to feel a sense of enthusiasm? What fills us with lust, anger, fear, or tenderness? Traditional behavioral and cognitive neuroscience have yet to provide satisfactory answers. 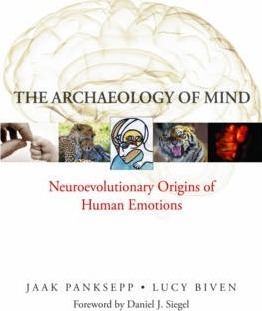 The Archaeology of Mind presents an affective neuroscience approach-which takes into consideration basic mental processes, brain functions, and emotional behaviors that all mammals share-to locate the neural mechanisms of emotional expression. It reveals-for the first time-the deep neural sources of our values and basic emotional feelings. Jaak Panksepp, PhD, was the Baily Endowed Chair of Animal Well-Being Science at Washington State University's College of Veterinary Medicine, emeritus Distinguished Professor in the Department of Psychology at Bowling Green State University, and the Head of Northwestern University's Falk Center for Molecular Therapeutics. Lucy Biven trained at the Anna Freud Centre in London, and has served as Head of the Department of Child and Adolescent Psychotherapy at the Leicestershire National Health Service in England. She is currently a reader for the Journal of Neuropsychoanalysis.